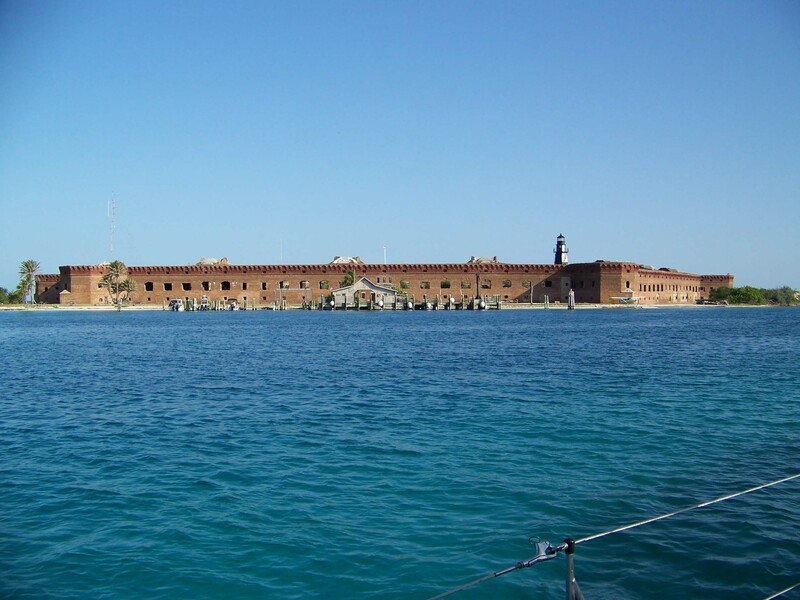 We sailed from Isla Mujeres to the Dry Tortugas, Florida. 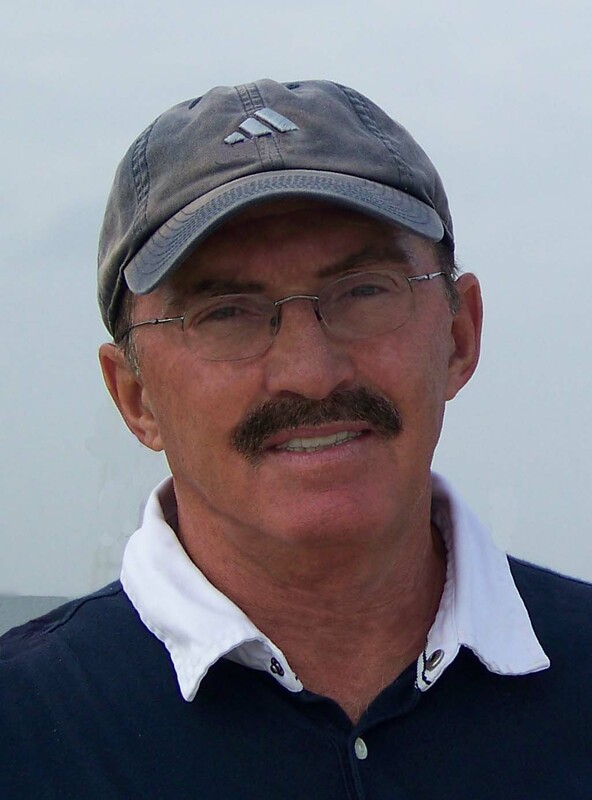 This is the last of the Keys of southern Florida. 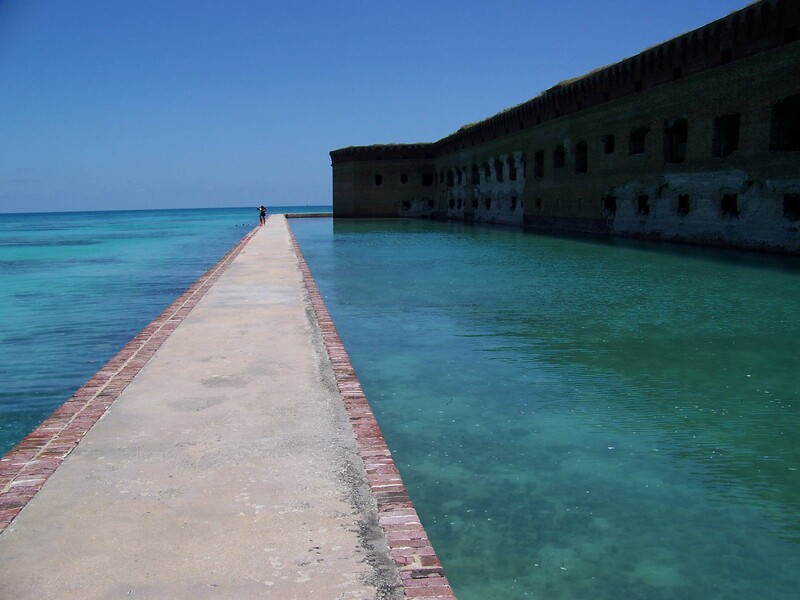 The eerie presence of this massive but never finished Fort Jefferson dominates the key. 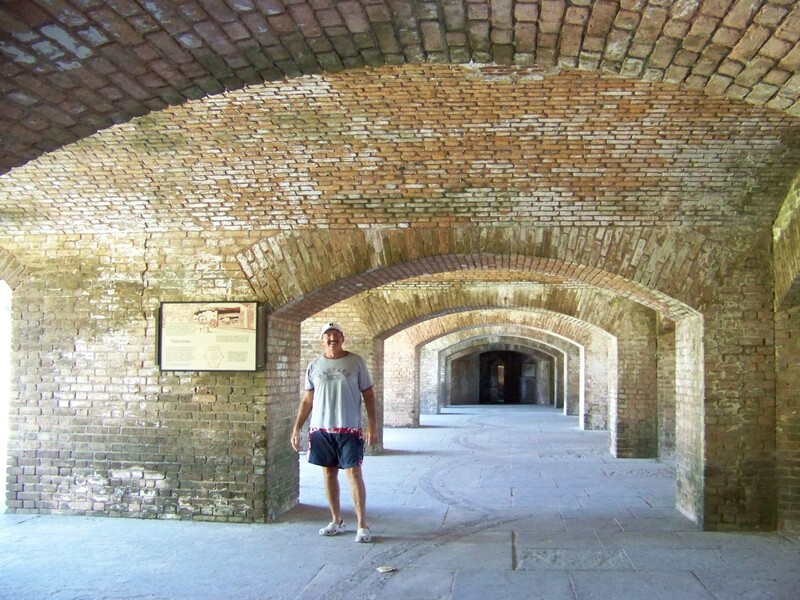 Now a National Park, at one time this fort was the largest fortress from the 19th century American coastal defense perimeter (eight foot thick brick walls, standing 50 feet high to support three layers of guns and surrounding a 17 acre quad area). Construction began in 1846 and continued for 30 years and never finished due to hurricanes and yellow fever epidemics. It was never involved in any war time hostilities but became an infamous prison during the Civil War and some time after. It is also famous for re-coaling the USS Maine on its fatal voyage to Cuba in 1898. 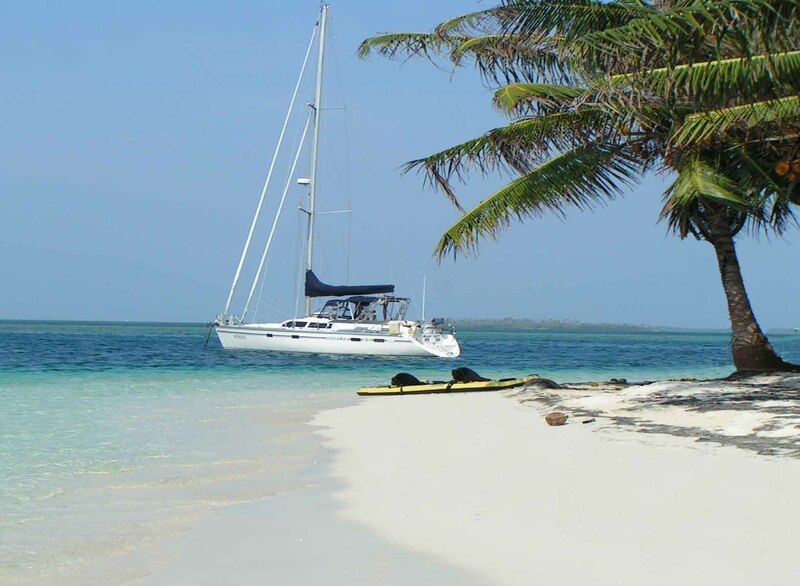 An interesting adjacent island is Bush Key (named for the trees not the .....). The sooty tern and black noddies and my favorite bird the Frigate birds nest nearby on Long Key. 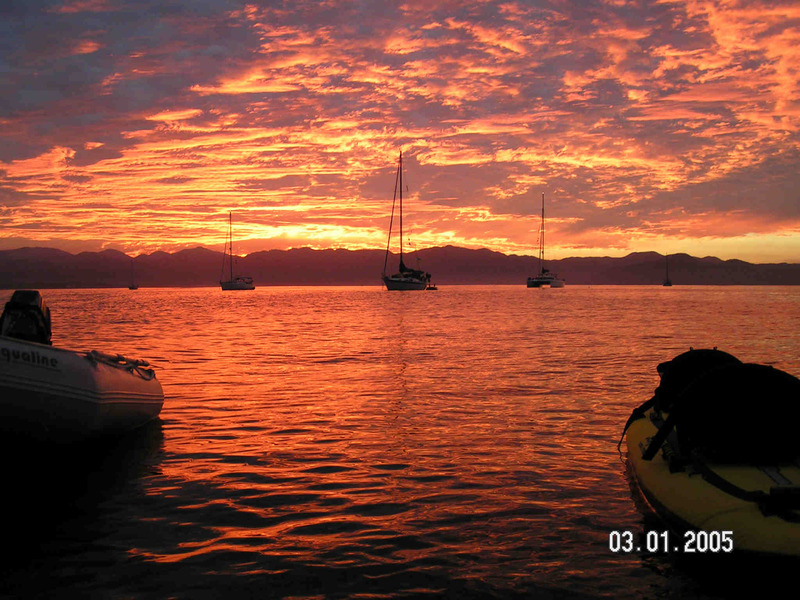 The snorkeling was excellent and the Jew fish around the boat every night made for great viewing. This fort also has a beautiful mote around it to avoid and direct human attack. Now who would want to storm a fort with probably over a 100 guns blasting away at you and then swim a mote and climb a four story wall with a huge overhang just to get inside where there is nothing of interest - check the smarts on that person(s). Or better yet, check the smarts on who authorized the construction of this massive structure and never put it to use. The water barrier could hold off an army. 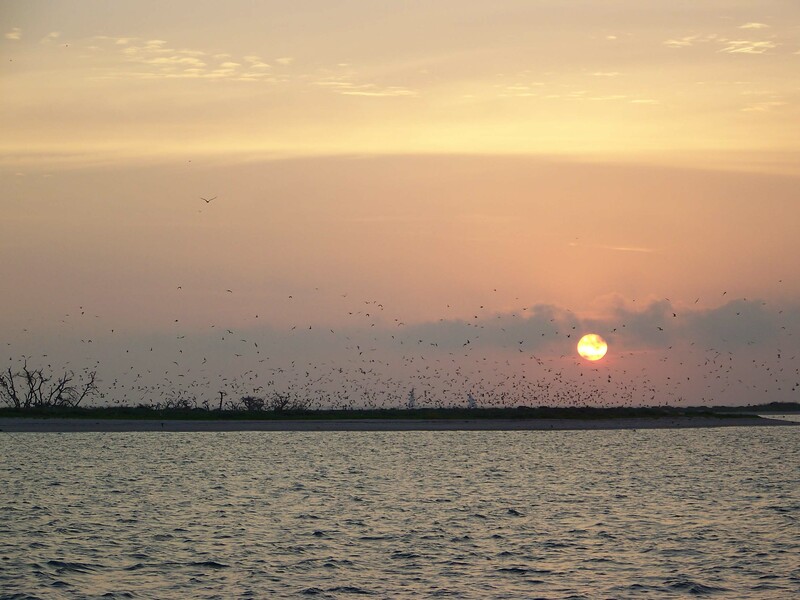 Surrounding islands offers the only North American nesting sites for the Terns. The sing day and night and never stop flying even to mate. The hen drops the egg from the air and they fly away for the chick to fend for themselves. Hey stop laughing, I am not making this up - I listened close to the guided tour guides for the tourists. They migrate back to South Africa and other areas of the southern hemisphere and stay airborne over 90% of their lives - not the tourists, the terns. 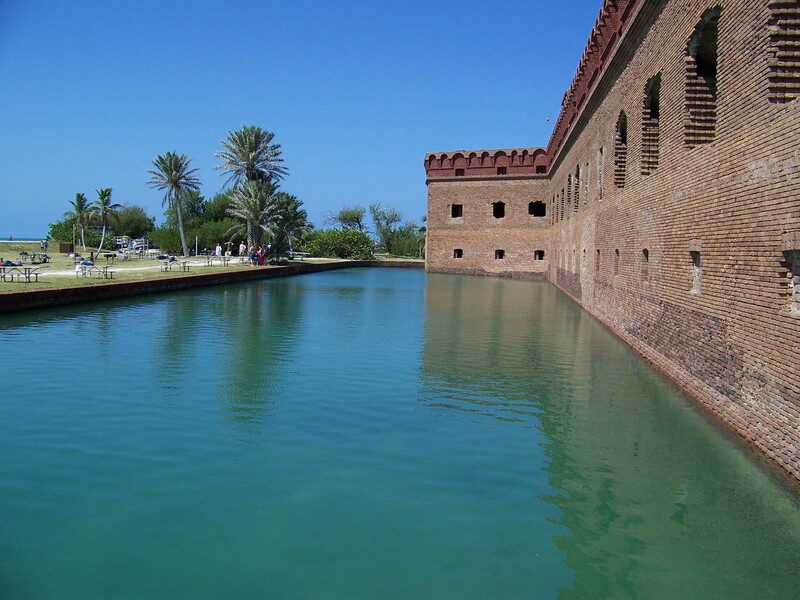 Since the Dry Tortugas are only 90 statue miles from Cuba, many brave souls attempt to cross in boats that most people would not dream of riding in. The ones that make it to US soil are allowed to stay. Sort of a reward for surviving the crossing in very dangerous waters. The ones caught at sea are returned to the US base in Cuba. But for so many, they never see land again and likely have a shortened life span once they make the attempt. These boats were a grim reminder of brave human souls attempting to better themselves at all costs. May God help guide them. 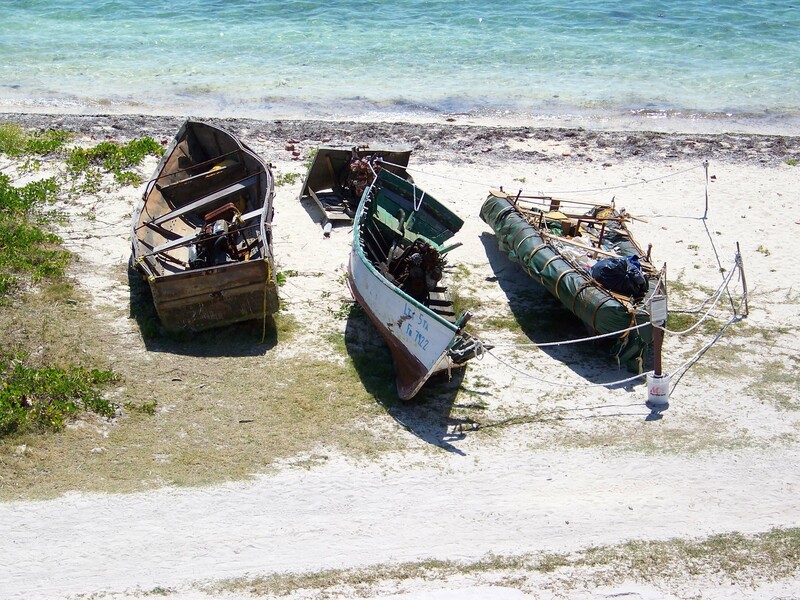 I have now crossed the Caribbean Sea (in very nice boats by the way) three times and have seen remnants of rafts, boats and one small boat with eleven people aboard. On that one, we had to call the Coast Guard who helped them to safety. Thank you USCG. 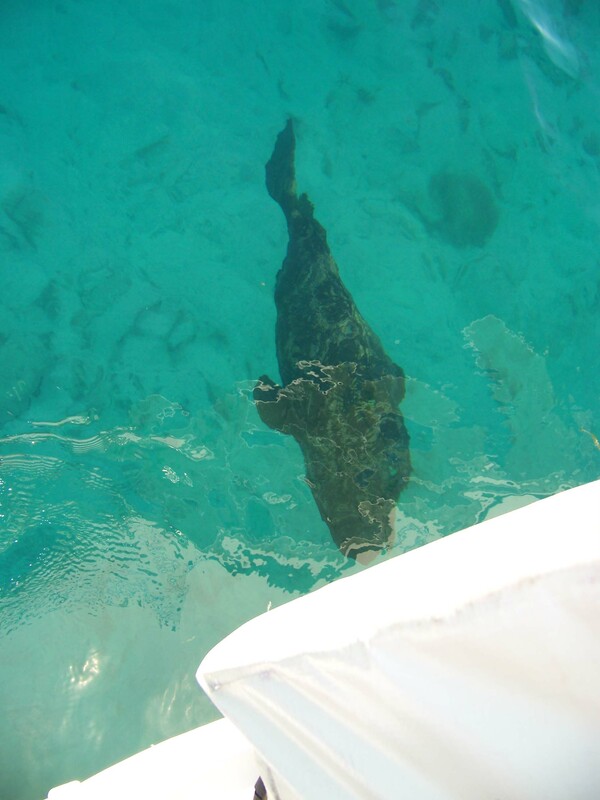 Each day late in the afternoon our dear friend the 6 ft. long Jew fish (now called some kind of Grouper to be correct with the etiquette) would stop by the boat. The first encounter, we flew out of the water while swimming then learned they are harmless plant eaters and are looking for handouts from humans. He became a dear friend and we chatted with him daily. He would flab his big lips and exhale while waiting for food. He was always a little shy so we could not pet him. Miss SI among the gun placements on the first is sporting herself in good shape after all our walking/running in Mexico. The water barrier continues around the fort. Here is Dai's dream job just awaiting. 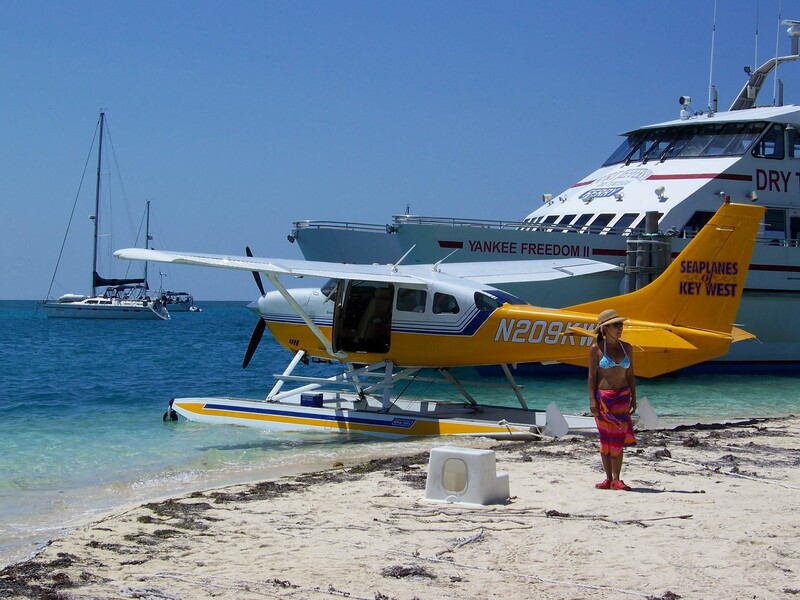 These planes seat six total and use 20-25 gallons per trip from Key West to the Dry Tortugas - something we just had to know. The fort appears to go on forever and was truly eerie to walk through.